If every sports team that Paddy Clarke had an association with were to form a guard of honour at his funeral this Wednesday, the line could extend from one end of Drogheda to the other, such was the reach he had across the north-east. 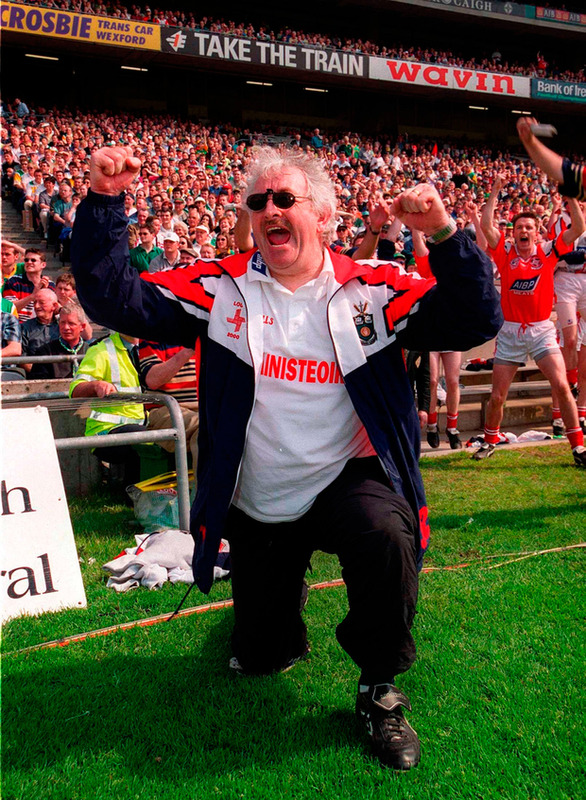 Paddy, who passed away at the weekend aged 72, was a coach ahead of his time who crossed the sporting divide between soccer and Gaelic football so easily. Louth manager between 1997 and 2001, when they won an All-Ireland B Championship and a Division 2A league title, he was assistant to Brian McEniff on the successful international rules tour to Australia in 2001 and was involved in the backroom of Meath and Monaghan senior teams at different stages. Much earlier in his career, he coached Drogheda Youths to two FAI Youth Cup titles. It was his involvement with clubs across the north-east that really distinguished him and his record of senior championship wins in five different counties stood out - Stabannon Parnells and Mattock Rangers in Louth, Castleblayney Faughs in Monaghan, Kingscourt Stars in Cavan, Kilmainhamwood in Meath and St Brigid's in Dublin, with whom he helped to add a Leinster title in 2003 alongside manager and former Meath player Gerry McEntee. He was always looking for ways to innovate and spent a week with both Bill Shankly in Liverpool and Don Revie in Leeds to improve his coaching perspective. He was a fountain of statistical knowledge and was the definitive voice in collating the records of Louth GAA. Every Louth player knew what his record of service was to the county with one quick call to Paddy. When Louth hosted Westmeath in the 2015 Leinster Championship, he determined it was the Louth's 1,000th competitive senior inter-county game. A Dispatch Manager with Irish Cement, Paddy was renowned for his meticulous approach to everything he did. He is survived by his wife Annette, daughter Caoimhe, sons Ciáran and Shane and extended family.